Save money and be prepared for your next heating/process season by signing up for a preventive maintenance program today. 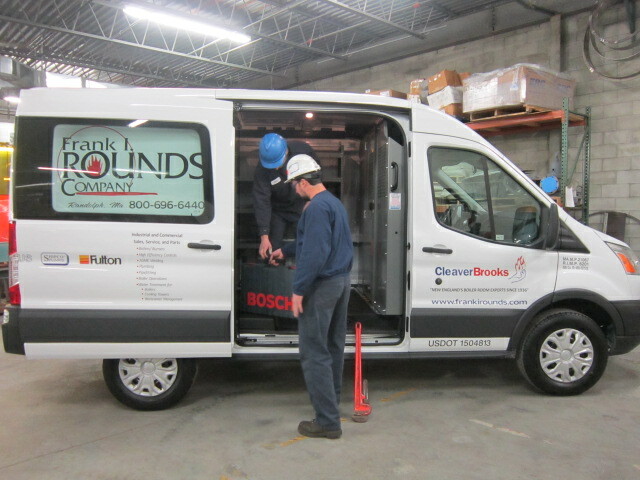 Frank I. Rounds Company Preventive Maintenance Programs offer a planned, systematic inspection and maintenance that are key to reliable and efficient performance for any kind of equipment. Boilers are no exception. You will reduce profit-killing downtime, cut fuel costs and increase your boiler’s life with planned maintenance prescribed by Frank I. Rounds Company. From simple check-ups to comprehensive care, these programs are designed to optimize your boiler system’s performance. Regardless of your boiler needs, we can tailor a program to fit your requirements. We provide checklists that specify inspection results and recommendations for your records no matter how comprehensive a level you choose. Our full-time service group is available 24 hours a day, 365 days a year. To make a service request, please fill out this form or call (800) 696-6440 and one of our service representatives will be in touch with you shortly. We have a wide variety of rental equipment to choose from. Our professionally assembled trailers are constructed for reliable operation. © 2019 Frank I. Rounds Company. All rights reserved.